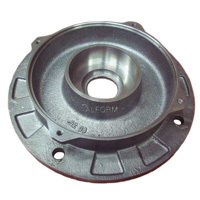 We are partners of a large association of foundries close to our own production sites. 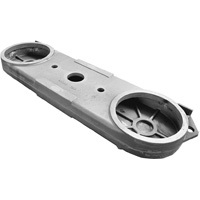 Each of the foundries is certified and disposes of special casting possibilities and competences. 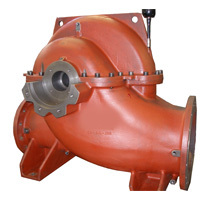 Thus we are able to meet the demands of our customers in any way and always have the perfect raw part ready for the further manufacturing processes. Our casting parts will be machined by us completely and will be delivered usually ready to install and on request also with coating. 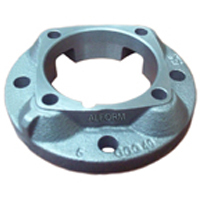 ALFORM cast parts are proven manifold and are already installed in various machines, plants, vehicles and drive systems. Piece weights app. from 0,1 kg up to 8000 kg are possible. Download PDF-prospectus: ALFORM_Gray and spheroid cast iron and cast steel.pdf Send your inquiry with your drawing to sales@alform.de! Spherioid cast iron has this name because of the geometry of the graphite and has steel-like mechanical properties. The chemical composition lies in the following magnitude: Carbon: 3.4 to 3.8% --- Silicium: 2.0 to 3.0% --- Manganese: 0.10 to 0.60% --- Sulfur: 0.003 to 0.015% --- Chrome maximally 0.10% --- copper concerning pearlitic sorts up to 1%. 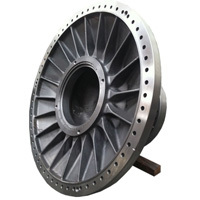 Because of the very good properties and the good machinability spheroid cast iron plays an important role in industry. 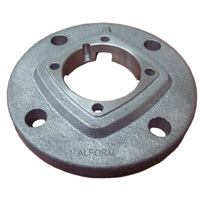 Gray cast iron is the most frequently used iron in the world and also oneoldest and best known iron materials. Because of the nearly unlimited possibilities in processing and shaping nearly all ideas of construction can be made real with this material. 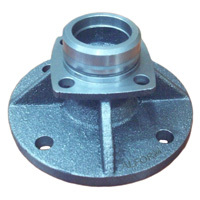 Because of this excellent basic properties gray cast iron is indispensable in the world of industrial machine-manufacturing. 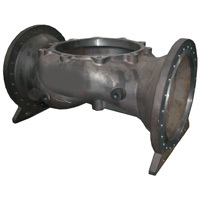 In chemical regard cast iron consists of the main elements iron (Fe) and the normal accompanying substances Carbon, Silicon(Si), Manganese (Mn), Phosphor (P) and Sulfur (S). Cast steel joins the advantageous properties of steel with the advantages in forming of casting.The mechanic properties of steel are superior to the properties of cast-iron. Steel is weldable and plastically formable. Unalloyed cast steel consists of iron-carbon alloys with a maximum of 0,6% silicon and up to 1% of manganese. It's share of carbon of up to 0,5% determines significantly it's strength. It contains differently high shares of alloy - components like chrome, molybdenum, nickel, tungsten, vanadium and others. All usual sorts of steel can be applied, also stainless steel. The basic material can consist of ferrite or perlite depending on the chemical analysis. As raw materials raw iron, steel scrap, ferrosilicium and additives like lime, coke, gravel, quartz etc. are used. These additives are melted in induction ovens and depending on the results of analysis the melt is optimized by adding various materials (ferromanganese, nickel, ferrosilicium). The tapping temperature lies between 1480 °C and 1540 °C. 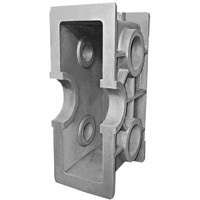 The melt is casted with a device into moulds. The properties of the melt are controlled before casting or during casting by injections into the melt. By the injections the formation of the nucleus for cristallisation is favored and the formation of cementite is surpressed. The properties of the material can be influenced by tempering. 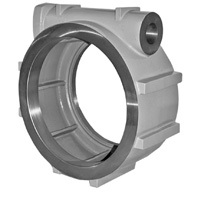 The mechanical properties are described by the norm EN1563. The graphite determines in form, size, distribution and quantity predominantly the tensile strength of the material. The basic structure determines by kind, distribution, quantity and the degree of being fine-grained the hardness of the material(grindability). The task of the foundry operator is to influence the formation of graphite and basic structure in a suitable way by the means of metallurgy (founding, treatment, injection and casting technology). 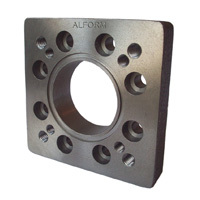 As parts of cast steel are brittle and coarse grained, they must be tempered. Casting of steel requires higher temperatures than the casting of cast iron (Steel up to 1536 °C compared to gray cast iron of 1150°C) and poses therefore higher technical requirements. The steel alloys used have a very tough melt. This is why the cast steel fills forms only with difficulties, so that for finer structures must be produced by further milling. With 2 % the shrinking is twice as high as with cast iron. 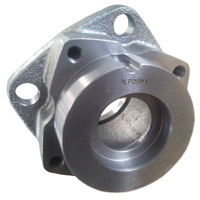 Because of the many different sorts of steel, cast steel can be used manifold. It is suited especially when high structural strength, toughness, high thermal exposure or chemical properties are required. 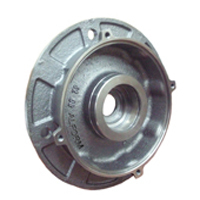 In as far as the size of the part is concerned cast steal can be used nearly unlimitedly. 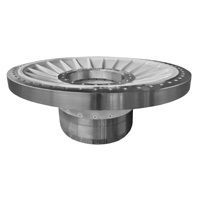 It is appropriate as well for small parts as well as for very large parts (for example housings for steam turbines). Typical applications for cast steel are naval construction, automotive industry (vehicle bodywork), machine - and plant-engineering. The images here show a part of the products which we have already have manufactured. For a larger image please click on the respective picture.